Can 12 Comedians Figure Out Who the Bloody Hell Australia Is? 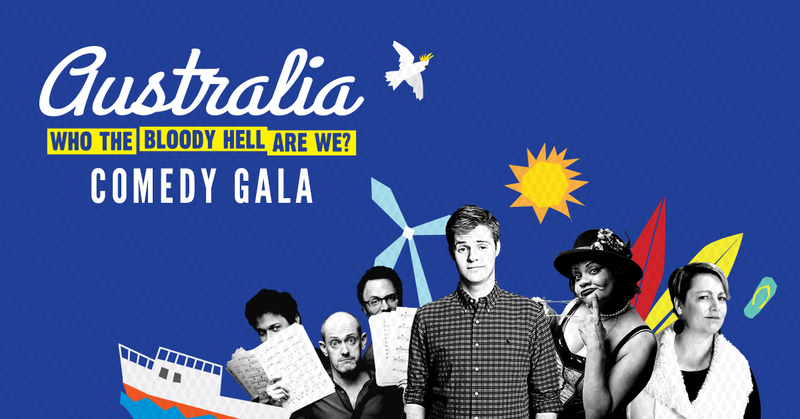 Campaign for Australian Aid announces Comedy Gala to be hosted by Tom Ballard. Campaign for Australian Aid has today announced that award-winning comedian, Tom Ballard, will host its Australia, Who the Bloody Hell Are We? Comedy Gala to be held in Melbourne on 22 September. Ballard will be joined by 11 of Australia’s most talented comedians including Tripod, Nelly Thomas and Shiralee Hood as the Gala encourages people to place our national identity, values and global citizenship under the microscope. Mr Ballard added: “I’ll be bringing on a spectacular bill of funny friends who’ll make us all laugh and remind us that we have been, occasionally still are, and definitely should aim to be a great country that helps out others when we can. To get a free laugh, supporters can go to comedygala.org to invite their local MP. Prizes will be given away on the evening with Australians being encouraged to drive the issue via social media using the #WhoAreWe hashtag. “Australians love their comedy and this is a fun way to bring Australia’s performance as a global citizen on a range of issues such as equality, climate change, refugees and Australian aid to the forefront,” said Director of the Campaign for Australian Aid, Tony Milne. If you’d like to attend the Gala, arrange an interview or photo opportunity with Mr Milne or the talent, please contact Sarah Cannata on 0407 536 133.